I attended a political rally in the sixties when a political figure concluded his speech on Civil Rights. He said, “Deep down in your hearts, you know it is right!” I have never forgotten that phrase. In fact, I have generalized it to many issues in my life. When we think about right and wrong in society or in our personal lives, deep down inside, we usually do know what is right or wrong unless there are some unknown variables. In Philippians 2, Paul encourages us to live “without fault in a crooked and depraved generation.” Those words speak to us today in a similar way. As we read the Scriptures and become familiar with the teachings and life of Jesus Christ, we are on solid footing for following Paul’s encouragement. The Lord said he would put his law in the minds and on the hearts of his people (Jer 31:33; Heb 8:10). 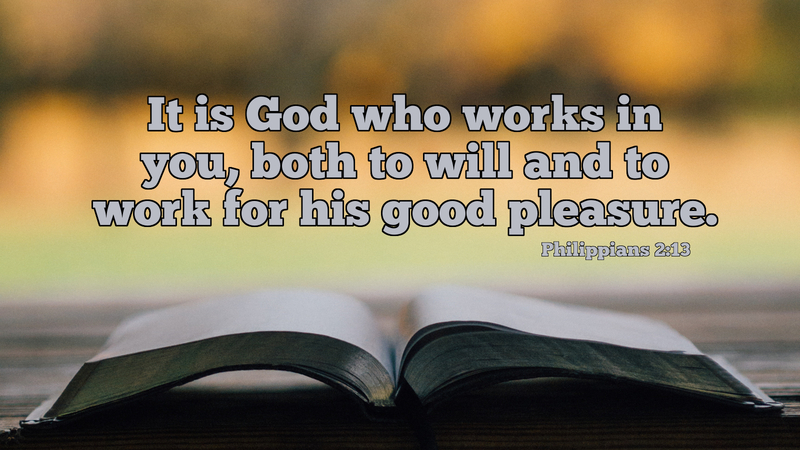 Paul reminds us that it is God who is working in us to seek out his will and act accordingly (Phil 2:13). Are you confused about God’s will for your life? Read the Bible, become familiar with Jesus Christ, and prayerfully seek where he leads you.